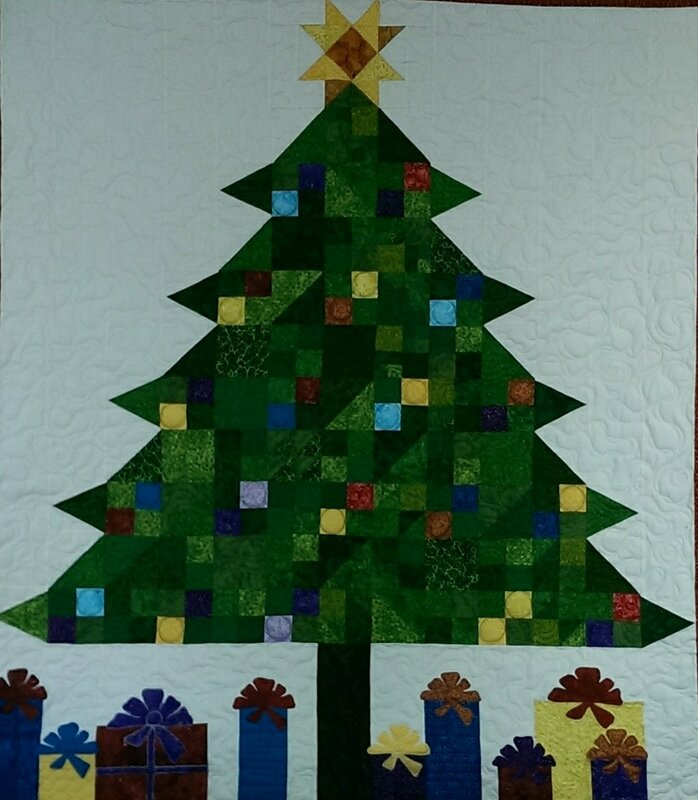 This is Cindi’s newest Christmas quilt. Kit includes all fabric for top and pattern (binding and backing not included). It features 8 different 4 1/2” blocks: four patches, HST, snowballs, 60 de-gree triangles and more. All are simple construction, for fast completion.